Much chat (for more than 3 years) about our best midfield shape. Seems to boile down to 4-4-2 and 4-3-3 and variants of. Bruce seems to have used various 4-3-3/4-5-1 set ups in the past but has recently , and has here. But in many ways, like Carlos, of late has felt that 4-4-2 is the best option to get the best from what he's got. Given the two set ups are the most frequently used since he arrived who would you line the midfields for each option? But otherwise a good exercise ..ta Snoots. I've gone and ballsed it up again! With my fat fingered fuckwittery! I went for Reach Bannan and Reach in Q2 to make up for no Reach in Q5. Good post. We will be decent under Bruce playing 4-4-2 but it won’t be enough to get us top 2 next season. I was discussing this with my mates before the Leeds game and my worst fears transpired in this game. We were outfought in this game playing with their midfield 3 with high energy. Id like us to go 4-3-3 next season but the key is to get a mobile pacy striker who can play the lone striker role and we need a box to box midfielder. Kieran Lee could obviously be the man but it’s a long shot with his injury record. The 3 stand out teams this season all play with a midfield 3. They all play different systems but the key thing is that they have players in the middle to control games. Football has moved on - so do we. Where is Reach on the last one and also where is Aarons, Reach and Lee for the attacking 3 from a 4231. If you think I'm letting you put Lee in an attacking midfield position where we would lose his ability to break from deep and ghost into the box like budget David Platt you've got another thing coming mi laddy! Sorry. I mean Mi lady. It doest matter where you put Lee though because he would be everywhere anyway. "Whose on first base " ! or ? All of course assuming Kieran Lee is back fully fit. Just hope we can get those loan players back too. They've made a real impact! Thats the system and team I’d go with. I love fletcher and he always gives 100%. I just feel we need a pacy mobile striker up top. On paper Joao would be the man, but you just can’t rely on him, too inconsistent. Lock keepers Cottage white .. It's bright man. Not bloody warm. I'd be happy to watch that team on a regular basis and fairly confident but as you say, IF FIT. 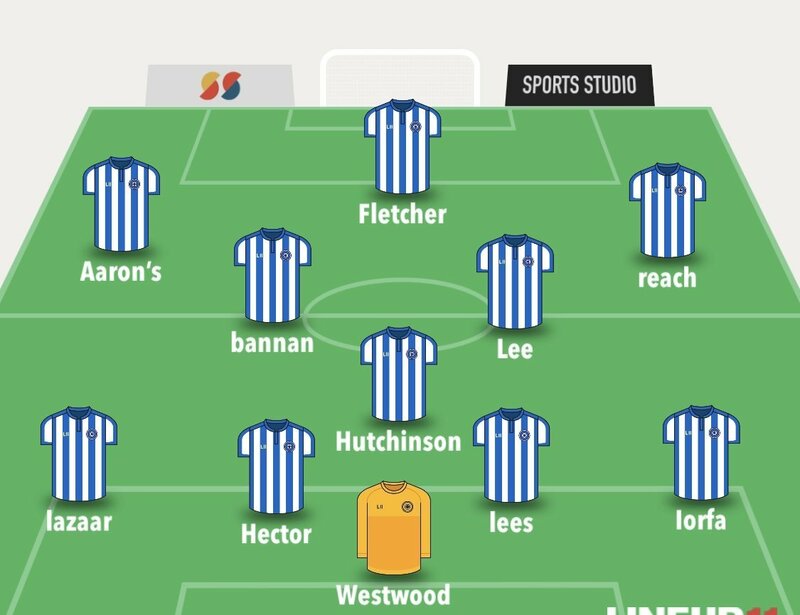 That puts a big question mark over this approach as Lee is a gamble at best and Hutch won't do 46 games. We do not have anyone in the squad that could adequately replace either when playing this formation. In that sense we need two new midfielders to make this work for a full season. I would agree with Fletcher being the preferred choice up top and in some home games FF could play a wide role when the onus is on us to attack. However, only having Hooper play every now and again would be a disappointment to me. He is technically one of our best players but doesn't fit into the first 11 in this system and so would be a waste of his talent - and his significant wages.